Netanyahu claims that the Grand Mufti of Jerusalem was Responsible for Giving Hitler the Idea for the Final Solution! At the World Zionist Organisation Congress on 20th October, Israeli Prime Minister Netanyahu made what, even by his standards was an outrageous claim. Hitler was initially only in favour of expelling Jews from Europe (what was known as the Madgascar Plan) and that it was the Mufti who persuaded him of the merits of exterminating them. 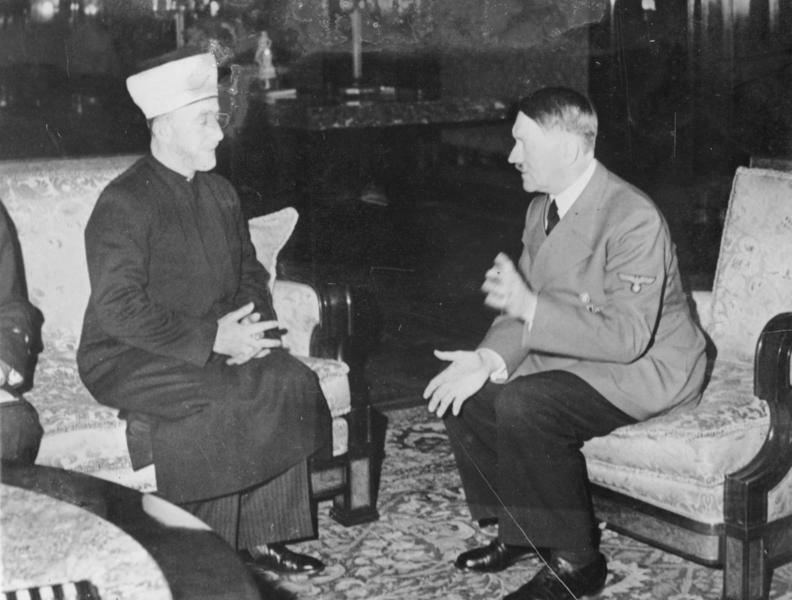 The Mufti of Jerusalem and Hitler at their meeting on 28.11.41. When I first heard Netanyahu’s statement, I immediately thought of a similar claim by Pastor John Hagee, the President of Christians United for Israel. Hagee, a virulent anti-Semite, had stated in a sermon that Hitler was a “hunter” sent by God to drive the Jews to Israel. [CBS News, 23.5.08. Hagee: Pro-Israel, Anti-Semitic?] It would appear that Hitler was in fact an agent of the Mufti not god! 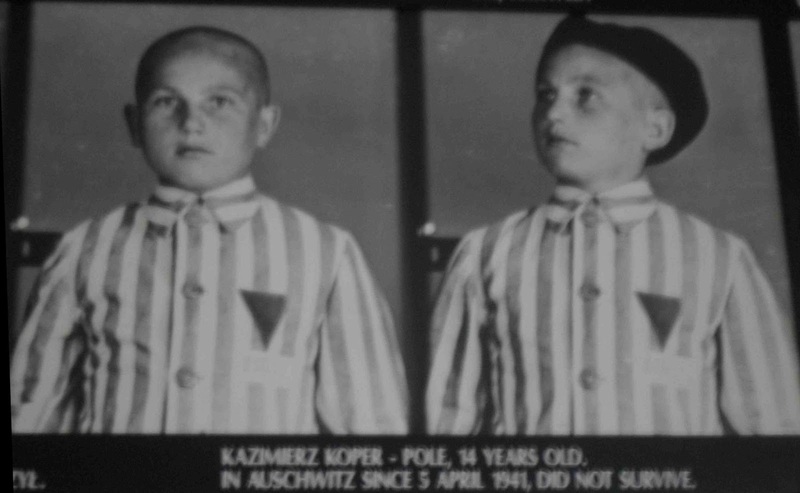 It is a claim that will be grist to the mill for holocaust deniers. But what Netanyahu is doing is what Zionist historians have been doing for over 60 years, which is to try and make the Palestinians and their leader major partners in the Holocaust and by extension to claim that Arab hostility to Zionism has nothing to do with settler colonialism, land theft and the expulsion of the refugees. It’s all because the Palestinians and Arabs hate Jews. In other words anti-Zionism is nothing more than anti-Semitism. The Mufti was responsible for recruiting 3 Muslim Divisions in Bosnia but they were primarily concerned with fighting the Serb Chetniks. They had no involvement in the Jewish deportations, bar the Skandar Division handing over some 210 Jews from New Albania (Kosovo) to the SS. Indeed such was their attitude to the Jewish Question that they were sent for retraining to France where they promptly deserted to the Resistance! The only example of a rebellion within the ranks of the SS. [Stephen Schwartz, ‘The Jews, the Serbs and the Truth,’ FrontPageMagazine.com 21.3.05., see also Gilbert Achchar pp. 143-144, The Arabs & the Holocaust]. What Netanyahu doesn’t mention is the 3 declarations issued by senior Muslim clerics in Bosnia against Croat-Nazi measures against the Jews and Serbs – in Mostar in 1941, Banja Luka on 12.11.41 and Sarajevo in October 1941. Muslim Albania was the only Nazi occupied country in Europe where the number of Jews at the end of the war 2,000) was greater than the number at the beginning (200). 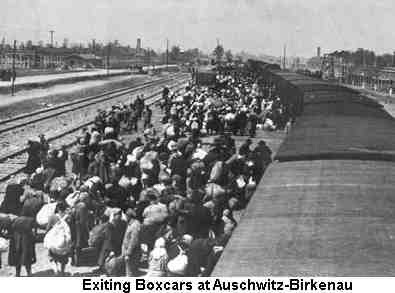 Not one Jew was deported from Albania during the Nazi occupation. A transcript of the meeting between Hitler and the Mufti on November 28 1941 is contained in Walter Lacquer's Israel-Arab Reader There is no mention of the Mufti urging Hitler to exterminate the Jews. The Mufti was only informed of the final solution in the summer of 1943 by Himmler.. The Mufti, in his talk with Hitler, wanted Germany to make a declaration that it supported the independence of the Arab countries - Syria, Iraq, Palestine. Hitler refused to do this because he said it would cause problems in France and strengthen the supporters of de Gaulle who would see it as a threat to the French Empire. In reality Hitler had no intention of supporting Arab independence. If Germany had conquered the Arab countries it would simply have supplanted Britain and France as the imperialist power. The Arabs were considered lower on the racial ladder than the Jews. By the time the Mufti met with Hitler, the final solution had already begun, with the invasion of Russia (Operation Barbarossa) in June 1941. By November 1941 the mass shooting of some 1 million Jews, by the Einsatzgruppen and Einsatzkommando killing squads, which operated in the rear of the Wehrmacht in White Russia and Ukraine, had taken place. Over 33,000 Jews at Babi Yar outside Kiev had already been murdered at the end of September 1941. But if what Netanyahu said was true then he should hang his head in shame because it was the Zionists who made Haj al Amin Husseini Grand Mufti after he came 4th in the election to the post of Grand Mufti in 1921. The British High Commissioner Sir Herbert Samuel, who had been instrumental in lobbying for the Balfour Declaration, appointed him because the Zionists loved this chauvinist and feudal Arab leader. [Nathan Weinstock, p. 117 Zionism: A False Messiah, Inklinks, 1969 citing Yehoshua Porath, The Emergence of the Palestinian Arab National Movement 1918-1929, London, 1974 pp. 189-93] Equally they hated the Istiqlal (Independence) Party in Palestine, because it was secular and blamed the British not the Jews. They preferred a chauvinist rogue like Haj al-Amin Husseini. The Palestinians considered the Mufti a collaborator with the British after the Revolt of 1936-39, which he had done his best to get called off. At no stage had the Palestinians elected the Haj al-Amin Husseini. He had been imposed on them by the British and the Zionists. 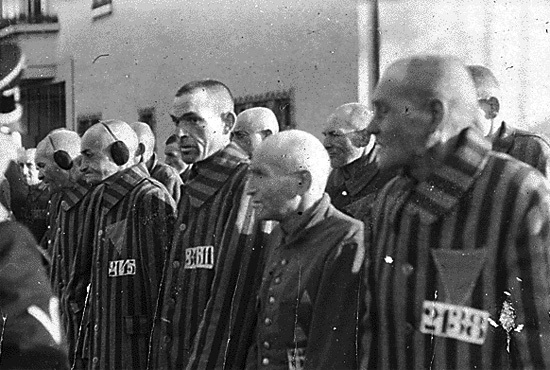 At the beginning of December 1941, just days after the Mufti's meeting with Hitler, the first extermination camp Chelmno had begun operations using carbon monoxide gas in mobile trucks. Quite obviously it had nothing to do with the Mufti and likewise Belzec was to start its work in March 1942. Experimentation with murder by gas had taken place in September 1941 in Auschwitz when 850 Poles and Russian prisoners of war were murdered. The Wannsee Conference, to coordinate the logistics of the final solution, to spread it to Western Europe and deal with the thorny question of the Mischlinge ('mixed race' people with 1 or 2 Jewish grandparents) had originally been scheduled for December 9th 1941 but had been postponed to 20th January because of the attack on Pearl Harbour. If we are to believe Netanyahu, this speech only came about as a result of Hitler’s meeting with the Mufti. In his 'Prophecy' speech on January 30 1939, which Hitler repeated at least 3 times, he spoke explicitly about annihilating the Jewish race. “Today I will once more be a prophet. If the international Jewish financiers inside and outside Europe should again succeed in plunging the nations into a world war, the result will not be the Bolshevisation of the earth and thus the victory of Jewry, but the annihilation (vernichtung) of the Jewish race throughout Europe.” Reitlinger, The Final Solution p.24., p.593 fn. 44. January 30, 1939; January 30 1942; September 30 1942, February 24th, March 21st and November 9th 1943. The whole Zionist outlook is based on the rewriting of history. The ‘return’ of Jews to Palestine, the denial of the Nakba and the holocaust is no exception to this. Previously this has meant trying to portray itself as having led the Resistance to the Nazis in Europe whereas it was in fact a movement of collaboration – from Ha'avara in 1933 to the Kasztner Affair in 1944 in Hungary. The Jewish groups and currents which led the Resistance were primarily the Bund in Poland and the Communists Jews in France and Belgium. It should therefore come as no surprise that Netanyahu now seeks to exonerate the Nazis of the major portion of the blame and instead allocate responsibility to the Palestinians! Prime Minister Benjamin Netanyahu was pounded Wednesday with a barrage of condemnations after he claimed that Nazi leader Adolf Hitler only decided on the mass extermination of Europe’s Jews after receiving input on the matter from Jerusalem’s then-grand mufti, Haj Amin al-Husseini, a Palestinian nationalist widely acknowledged as a fervent Jew-hater. Critics accused Netanyahu of “absolving” Hitler of responsibility for the Holocaust, a charge the prime minister later brushed off, saying he had merely intended to drive home the enormity of the mufti’s role as the originator of contemporary Palestinian “incitement” against Jews. 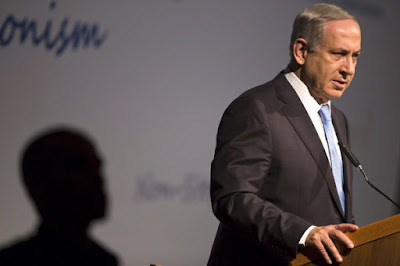 During an address Tuesday to delegates at the World Zionist Congress in Jerusalem, Netanyahu posited that the Nazi fuehrer did not initially intend to annihilate the Jews, but rather sought to expel them from Europe. According to the prime minister’s version of the events, Hitler changed his mind after meeting with Husseini — who was grand mufti of Jerusalem from 1921 to 1948, and president of the Supreme Muslim Council from 1922 to 1937 — in Berlin near the end of 1941. “Hitler didn’t want to exterminate the Jews at the time [of the meeting between the mufti and the Nazi leader]. He wanted to expel the Jews,” Netanyahu said. “And Haj Amin al-Husseini went to Hitler and said, ‘If you expel them, they’ll all come here [to mandatory Palestine],'” continued the prime minister. Netanyahu was speaking in the context of enduring Palestinian accusations to the effect that Israel is seeking to take control of the Temple Mount in Jerusalem; the mufti was one of the first to peddle such allegations against Jews in Mandatory Palestine. The charges have been fueling a recent wave of attacks against Israelis in and around Jerusalem. Israel has repeatedly denied allegations that it wishes to change the status quo on the Mount, which houses the Al-Aqsa Mosque and is holy to both Jews and Muslims. As per the status quo, Jews may visit the Temple Mount but not pray there. An overwhelming majority of Holocaust historians reject the notion that Husseini planted the idea of a “Final Solution” for Europe’s Jews in Hitler’s mind. Segev, born in Jerusalem to parents who escaped Nazi Germany in 1933, further stressed that by the time Husseini and Hitler met in 1941, the annihilation of the Jews had already begun. 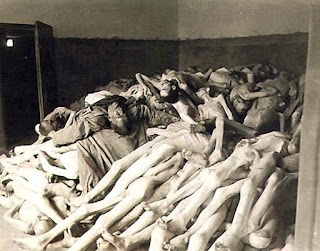 In fact, hundreds of thousands of Jews had been killed by the Nazis and their collaborators by the time of the meeting. “So the mufti told Hitler, ‘Burn them,’ and Hitler goes, ‘Oh, what a great idea,’” Segev added ironically. 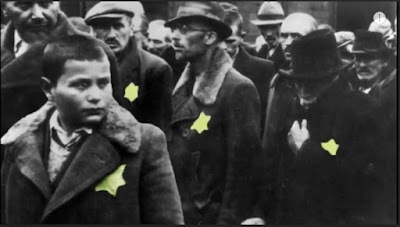 Other commentators pointed out that Hitler had discussed the possible extermination of European Jewry as early as 1939, even before World War II began and certainly before he met with Husseini. The order to carry out a Final Solution against Jews was given in July 1941 — months ahead of the mufti and Hitler’s meeting — after which the infamous Wannsee Conference was called in order to finalize the logistics and details of the mass-murder operation. The Wannsee Conference, held in on January 20, 1942, came after the meeting between Hitler and Husseini. The theory that Husseini played a role in the origin of the plan to commit genocide against the Jews has been raised by a number of historians including David Dalin and John Rothmann, but the notion has been rejected by a vast majority of Holocaust scholars. Netanyahu’s speech on Tuesday was not the first time the Israeli leader offered his alternate version concerning the mufti’s role in the perpetration of the Holocaust. The prime minister was criticized across the political board Wednesday for his comments, which were described as inaccurate at best and, at worst, as a tailwind to Holocaust denial. Implying the mufti planted the idea for the Final Solution in Hitler’s mind was tantamount to some, to absolving Hitler and the Nazis, at least partially, for orchestrating the unprecedented, systematic genocide of the Jews. "This is a dangerous distortion of history and I demand that Netanyahu correct it immediately because it trivializes the Holocaust, the Nazis, and the terrible dictator Adolf Hitler’s share in the terrible tragedy of our people in the Holocaust,” Israeli opposition leader Isaac Herzog said in a statement. “It falls like ripe fruit straight into the hands of Holocaust deniers, and involves them in the Palestinian conflict. “Netanyahu has forgotten that he is not only the Israeli prime minister, he is also the prime minister of the Jewish people. No one will teach me what a hater of Israel the mufti was. He gave the order to kill my grandfather, Rabbi [Yitzhak HaLevi] Herzog, and actively supported Hitler,” Herzog added. 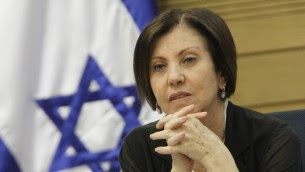 Zehava Galon, leader of the liberal Meretz party, was even more vituperative, asserting that she felt “ashamed” for Netanyahu. “This is not a speech by [extreme right-wing Austrian politician] Jorg Haider. This is not part of the doctorate of [Palestinian Authority President Mahmoud] Abbas [which accused the Zionist movement of collaborating with Nazism and played down the extent of the Holocaust]. It is an absolutely accurate quote by Israeli Prime Minister Benjamin Netanyahu… It’s unbelievable,” Galon said in a statement. “Perhaps we should exhume the 33,771 Jews killed at Babi Yar in September 1941, two months before the mufti and Hitler ever met, and let them know that the Nazis didn’t intend to destroy them. Perhaps Netanyahu will tell that to my relatives in Lithuania murdered by the Nazis along with nearly 200,000 members of the Jewish community there, well before the mufti and Hitler met,” she continued. “I am ashamed for you, Mr. Prime Minister,” Galon added. Joint (Arab) List party leader Ayman Odeh accused Netanyahu of distorting history in order to incite against the Palestinian people. PA President Mahmoud Abbas accused Netanyahu of placing “responsibility on Haj Amin al-Husseini for the killing of Jews during the Holocaust.” He said that by implying that “Hitler was not responsible [for the Holocaust], Netanyahu wants to change history. He is changing the history of the Jews.” In a 1984 book based on his PhD dissertation, Abbas claimed that the Nazis had collaborated with the Zionists, who had also exaggerated the number of Jews killed in the Holocaust. Addressing reporters on the tarmac at Ben-Gurion Airport as he prepared to head to Berlin, Netanyahu said Wednesday he had no intention of “absolving Hitler of his responsibility,” but had rather meant to show that “the forefather of Palestinian nationalism, which was without a state and without what is referred to as an ‘occupation,’ without the territories and without settlements, was already aspiring, through systematic incitement, to annihilate the Jews. Mr. Netanyahu said in a speech to the Zionist Congress on Tuesday night that “Hitler didn’t want to exterminate the Jews at the time, he wanted to expel the Jews,” according to a transcript provided by his office. The prime minister said that the mufti, Haj Amin al-Husseini, protested to Hitler that “they’ll all come here,” referring to Palestine. Prime Minister Benjamin Netanyahu of Israel speaking to the World Zionist Congress in Jerusalem on Tuesday. There is broad agreement that the mufti, who helped instigate Arab pogroms against Jews in the holy land in the 1920s, collaborated with the Nazis and promoted genocide over deportation of Europe’s Jews as part of his virulent opposition to Zionism. He escaped prosecution in the Nuremberg trials and died in 1974. Mark Regev, the prime minister’s spokesman, referred reporters to Mr. Netanyahu’s 1993 book, “A Place Among the Nations,” which details the mufti’s close ties to Nazis, protests of their plan to expel European Jews and support of the Final Solution, quoting from the Nuremberg trials of Nazi war criminals.